These peanut butter cookies are a breeze to make. They have no flour in them and you won’t miss it. 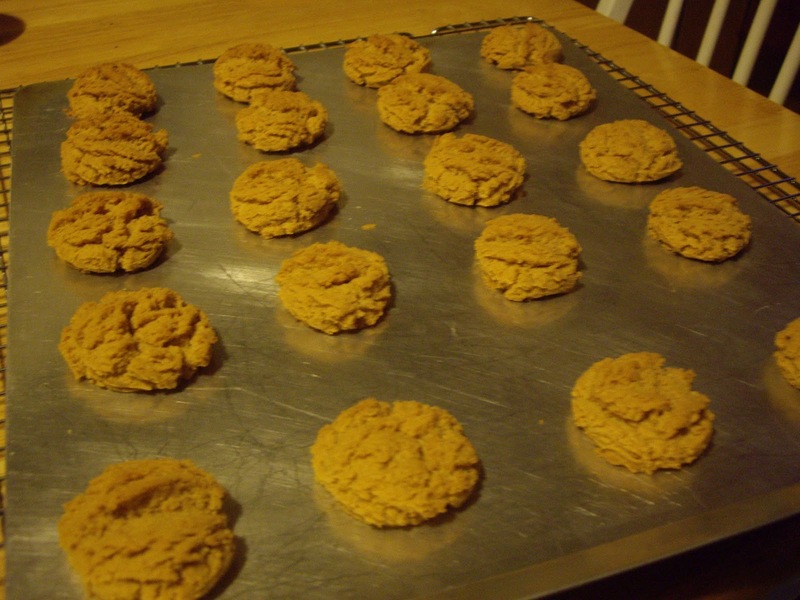 They are called 1-2-3-4 peanut butter cookies because they only have 4 ingredients. You will need 2 or 3 cookie sheets, ungreased. In a mixing bowl, stir everything together until smooth. Drop by teaspoon or small size cookie scoop onto the cookie sheets. Bake for 8-10 minutes or until set. After taking out of oven, let stand on cookie sheet for 5 minutes before removing. As soon as they appear set, take them out. If they are in the oven too long they will end up dry and get very crunchy/crumbly after they cool. I made these with the peanut butter I made. It will work with creamy or chunky peanut butter. Makes between 3 and 4 dozen cookies. I was looking for something to do after I finished making comments on about 30 blogs and now I know what I am going to do! Jeremy, I hope you like them. That sounds like one hard cookie! That is a very easy recipe. Thanks for sharing it. These sound really yummy I will have to make these I think have copied the receip and will get the stuff on shopping day to make them, jus hope they turn out ok…………I am not much of a baker……. Jo-Anne, I have faith in you. IF YOU LOVE PEANUT BUTTER YOU WILL LOVE THESE! They are pretty tasty, Lynn. I've never heard of peanut butter cookies without flour. I will definitely have to try them. Sherry, I had heard of them, but never tried them. They work really well. I'll have to pass. I don't think anyone in my family is too fond of peanut butter cookies. DWei, peanut butter is not for everyone.